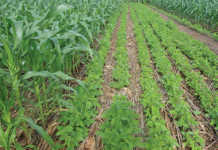 Sweet potatoes are easy to plant, need little looking after and deliver high yields. 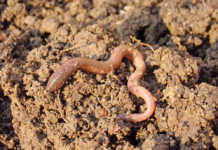 They are usually grown in sandy soil, which makes them easier to dig up. But they also do well in most soils, even heavy clay. Start preparing the soil in early summer. 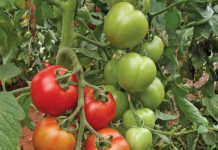 Loosen it deeply and sprinkle one handful of 3:3:4 fertiliser for every square metre of soil, or use kraal manure, at four handfuls to every square metre. Mix the soil thoroughly and rake well. Buy healthy, new shoots from a registered dealer and cut them into 30cm pieces. These are called slips. Make ridges and furrows 1m apart. Plant the slips on the ridges 30cm apart. Two to four buds must be covered by soil. Firm down the soil around each slip. Water the slips and weed regularly. Keep a look-out for pests and control them with the correct chemicals or organic remedies. The sweet potato weevil is the most common pest you are likely to find. It takes five months until harvest. The longer the sweet potato tubers are in the ground, the higher the vitamin content and the larger the sweet potato tubers. Cut off the vines and leaves when they become a yellowish colour. Carefully dig out the tubers. Wash the tubers and leave them to dry outside for several hours. Then move them to a protected place to cure for seven to 10 days. This allows the skin to toughen for long storage. Ideal storage conditions are 10°C to 16°C with 60% to 70% humidity. With proper curing and storage, sweet potatoes should last for several months. Source: Agricultural Research Council – Vegetable and Ornamental Plant Institute.